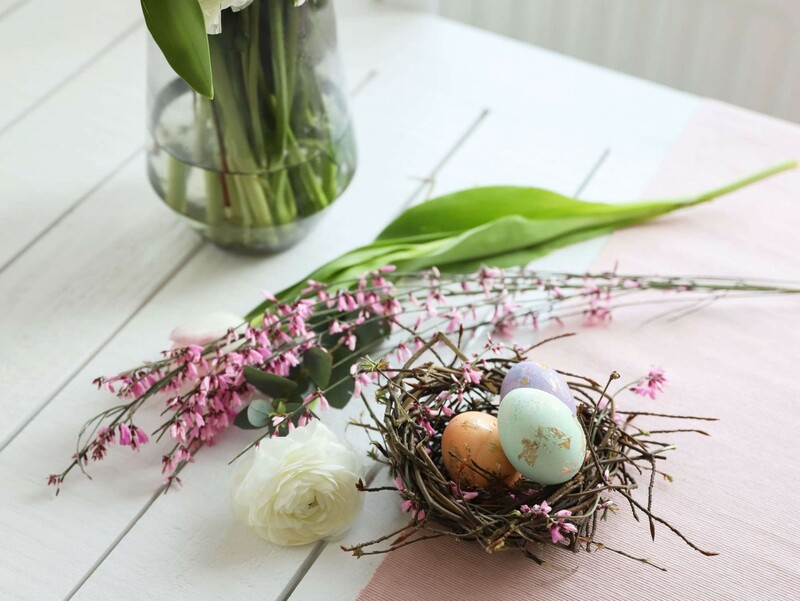 Easter is the time to be creative - we are leaving the winter greyness behind and color, paint and create marble effect easter eggs with gold leaf to get us into the mood for spring! April has finally arrived and easter is just around the corner! At this time of the year, we just have to think of tulips, chirping birds and chocolate easter bunnies. But there is one more thing, we just can’t stop thinking about: Gorgeous and unique easter eggs. Marbled designs are all over Pinterest these days and we totally get why! But instead of doing the well-known nail polish trick, we are going for a golden marble effect. 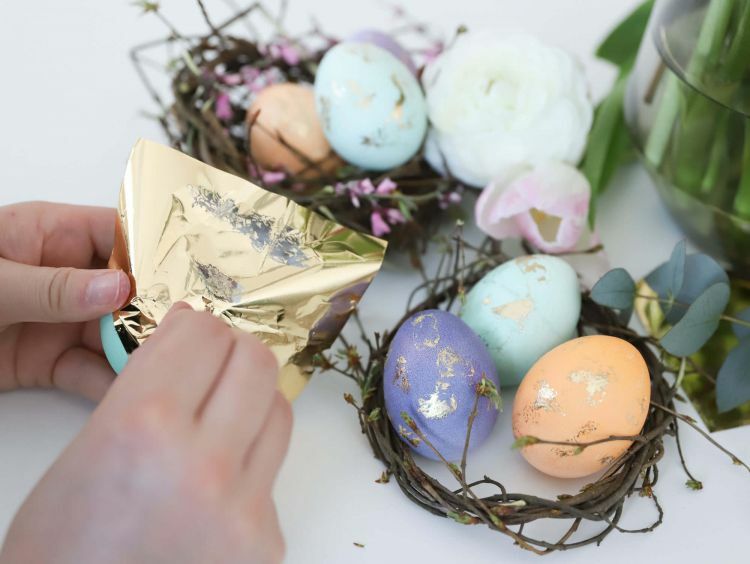 Colorful or natural eggs shine with that extra gold and create unique easter decor! 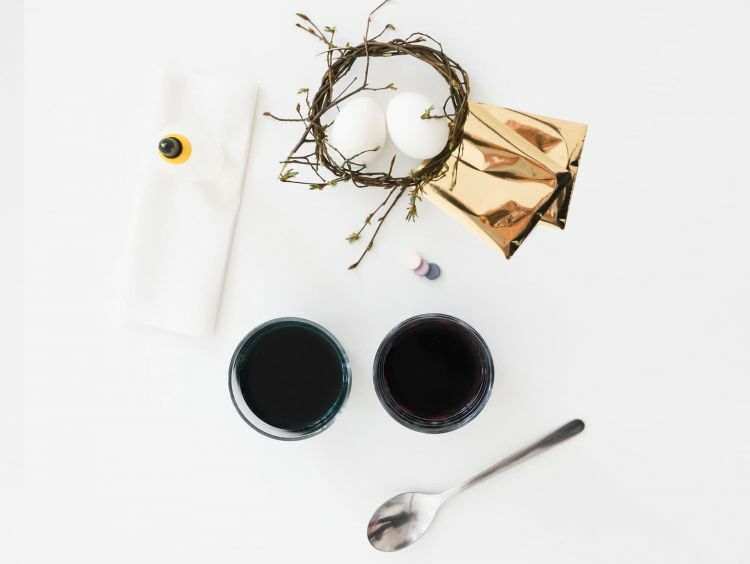 Boil or blow out the eggs and dip them into the glasses with egg coloring. Read and follow the instructions on the box of your color. Leave the eggs to dry completely before applying a thin layer of liquid glue to the surface of your eggs. 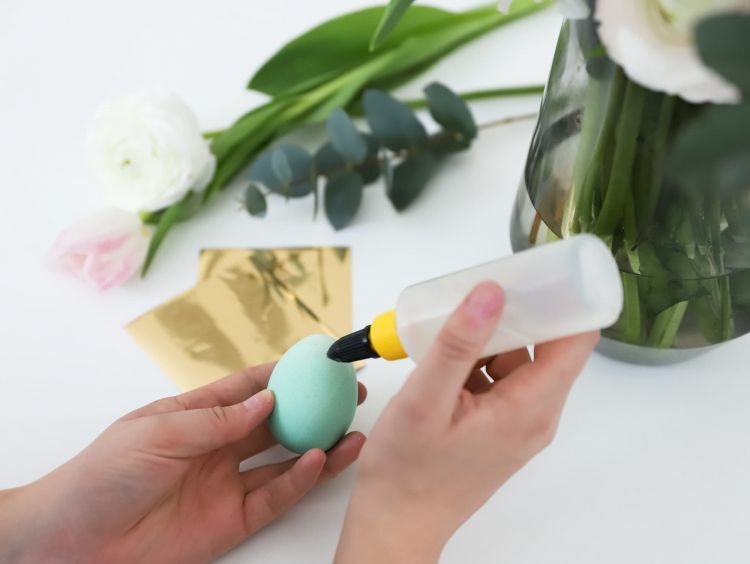 The more your cover your egg in glue, the more gold will stick to it. So try to mimic a marbled design with the glue! Now carefully grab the gold leaf and cover your egg. 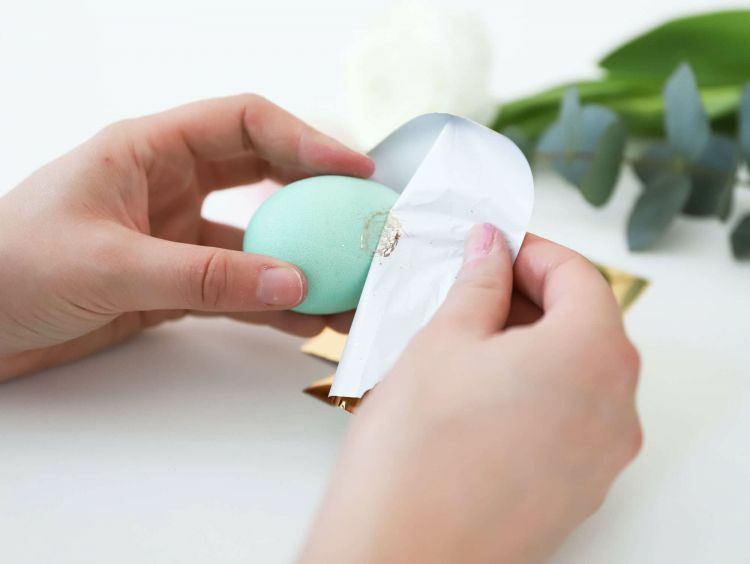 If you’re using foil, make sure the shiny side is facing away from the egg. 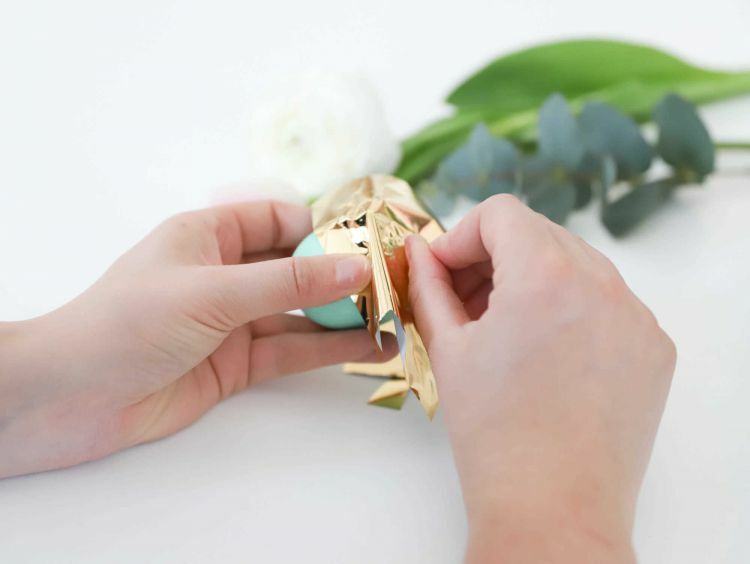 Rub the gold foil on and peel it off once you feel it’s sticking to the easter egg. Peel off any excess and create a marbled design. 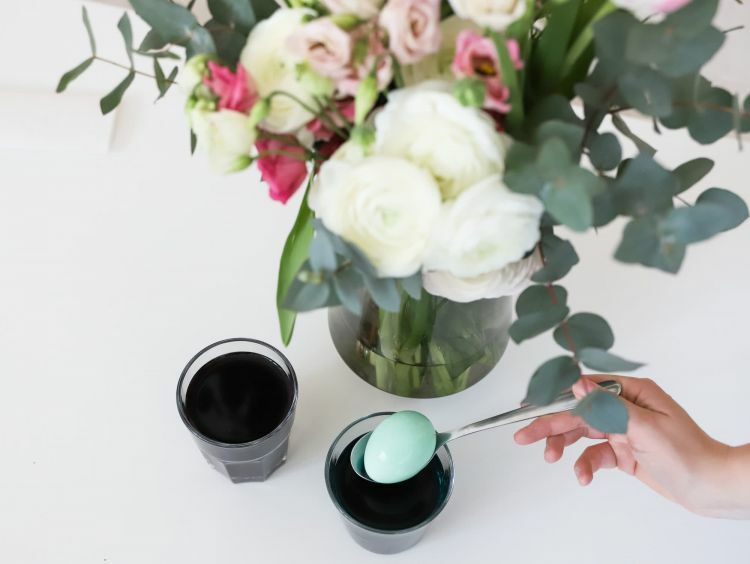 Decorate your self-made marbled easter eggs in an easter nest or place them in the fridge to enjoy later with your loved ones to make them a little surprise easter gift!